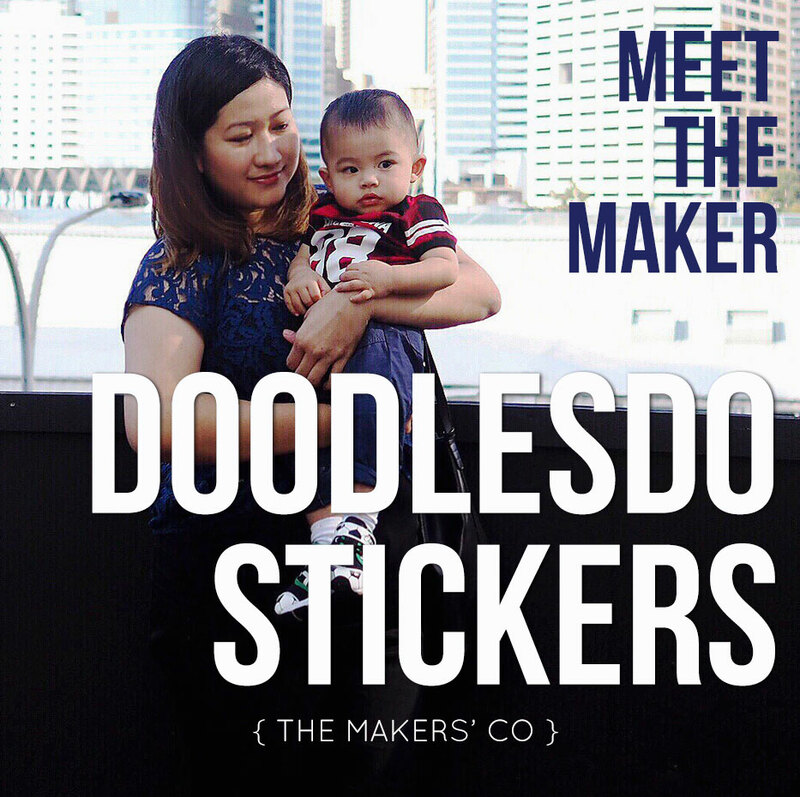 Today I want you to meet Wita, my friend who runs DoodlesDo Stickers. Wita is a super-talented digital illustrator with a great style, perfect product photography and a wicked sense of humour 😉 Wita has grown her instagram accounts and has worked with numerous brands as an influencer, as well as designing, manufacturing and selling her own products, all around caring for her little baby. Hi, my name is Wita Puspita, an Indonesian-born graphic designer, mum of a one-year old boy, and a stationery planner addict. 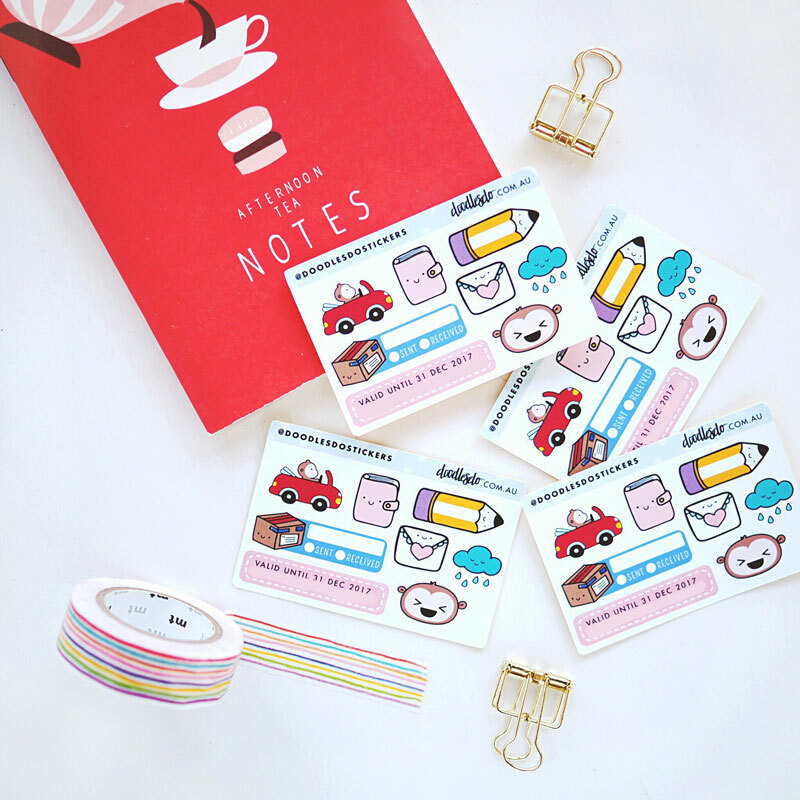 I design and print stickers for planners under the brand name Doodlesdo Stickers. I often get asked by my supporters on my blog’s instagram (I also run @designisyay, a creative inspo insta account) if I could doodle on their planners. My stickers are created from my hand-doodles, so in a way, they can finally have my doodles decorating their pages! I came from a family of entrepreneurs. My late grandmother had 8 children and she still ran a small household goods shop back in Indonesia. Both my parents are entrepreneurs, owning a few types of businesses, from digital printing to courier service and finally a hotel. Even as a child, I’ve always wanted to have my own business. When I was eight, I bought a few story books and began marking them with codes, then I offered them to my classmates to borrow for a small fee. So I guess running a business has always been planted in my head as the only way to make a living. What is the most significant way in which your life has improved since starting your own business or what is the most rewarding part of owning your own business? Honestly I took “owning a business” for granted before I became a mum. I have a passion in having a business, but I did not have the urgency to make it a success. After my baby was born, I realised how little time I have now that I have this little human to take care of 24/7. Whenever I have some free time I maximise it for my business, whether it’s planning, taking photos, designing new stickers or promoting the products. It actually makes me happier as a mum, even with all these changes happening to me, because I feel the satisfaction knowing that I’m still able to do something for myself. My sticker business has just started in January this year, but I have already received good feedback. They love my original and cute designs, and also the thickness of my sticker materials. Some customers also make remarks on how neatly packaged the stickers are when they arrive in their mailboxes! The planner sticker business is already an established market. 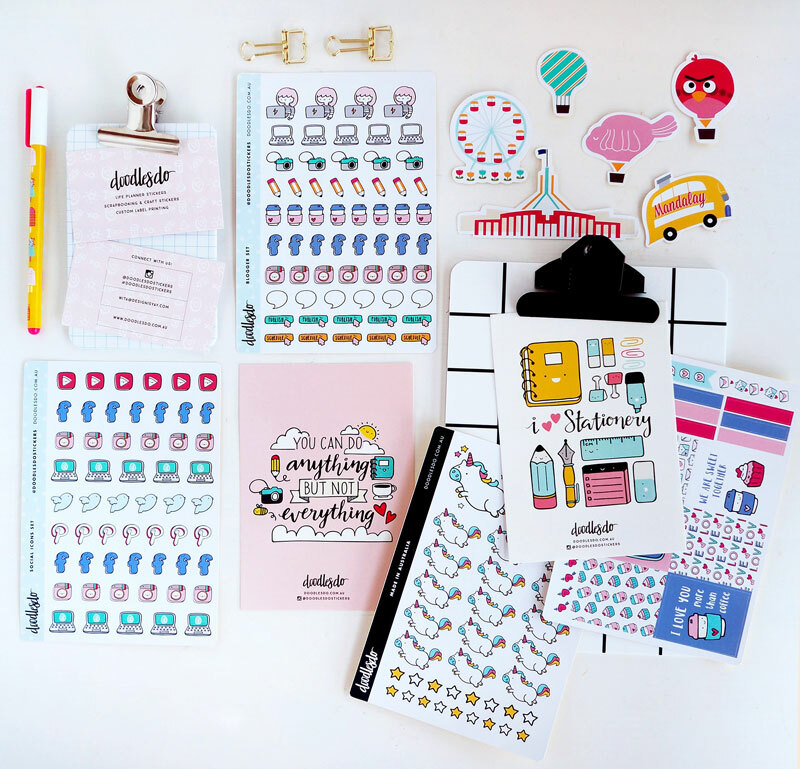 There are instagram accounts, hashtags and facebook groups specifically targeted to planner and sticker lovers. 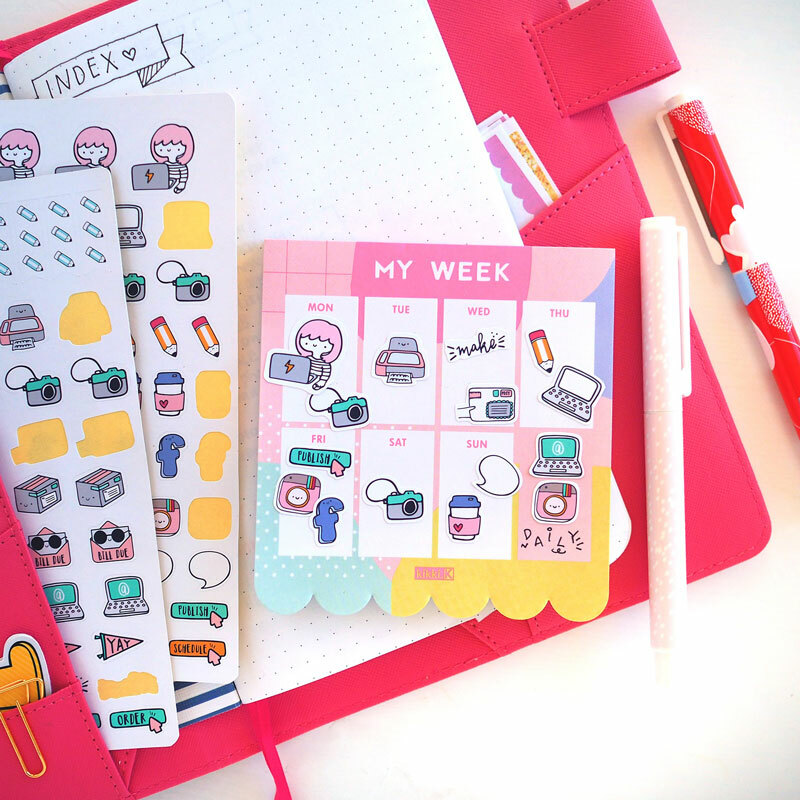 Even though there are SO MANY planner sticker businesses out there, I don’t think there can be too many because planner users are always in search of stickers. However, I still have to develop products that makes Doodlesdo Stickers stand out from the rest. I’m planning to create custom kids name labels and design more planner stickers for online business owners! I subscribe and read The Collective Hub magazines. I have to say that sometimes reading those magazines could get quite intimidating. The biz people they are featuring are the insanely successful ones, it makes you question why haven’t you gotten where they are (some of them are under 30!). But each of them have a unique starting point and ways to grow their businesses. I think I learn a lot about businesses from reading those magazines! I feel that women are more creative and better in not following the norms when it comes to business. Men run their business with a bit of ego, while most women support other women in their similar fields. Look at the planner sticker business, for example, it’s clearly a female-dominated business. However, ever since I started this business 8 months ago I’ve actually gained more friends on the online world who are also making stickers or other planner-related things! We even exchange stickers and do cross promotions. What challenges have you faced running your business whilst raising your son? Do you have any anecdotes, advice to share? For the past one year raising my baby, I went through a turmoil of new emotions. The hardest time was the first 3 months of his life when I thought that I will never be able to run a business or anything else in my life ever again. I have to say that the best thing I have ever done for myself and the baby is persistent sleep training and feeding routines. I know it sounds quite daunting to do something so rigid to a young baby, but if you’re running a business while raising a small baby, you will thank yourself for it (but don’t do it if it makes you feel uncomfortable). Plus he’s a happy and well-rested baby most of the time now, so I think he will thank me for that too! Find the instagram account followed by most of your target market, and try to get these influencers to post about your products. Even if you have to pay for it, if they have a huge number of followers and decent engagement, it’s worth the money. You always have to plan. Having a planner (or simply a notebook) specifically for your business is very important because it keeps you in track of your progress. When things get rough and you feel like quitting, look back to the first page and find what made you start in the first place. If you keep everything in your head, things will start to get messy. Having real sticker printing machines that can print high quality stickers in larger scale and faster turnaround time. I want to make my small home sticker business a big one.